Hope you are having a wonderful holiday weekend. Sweetheart and I had a fun weekend. We bought a cute BOAT. To see our boat go to my face book page. 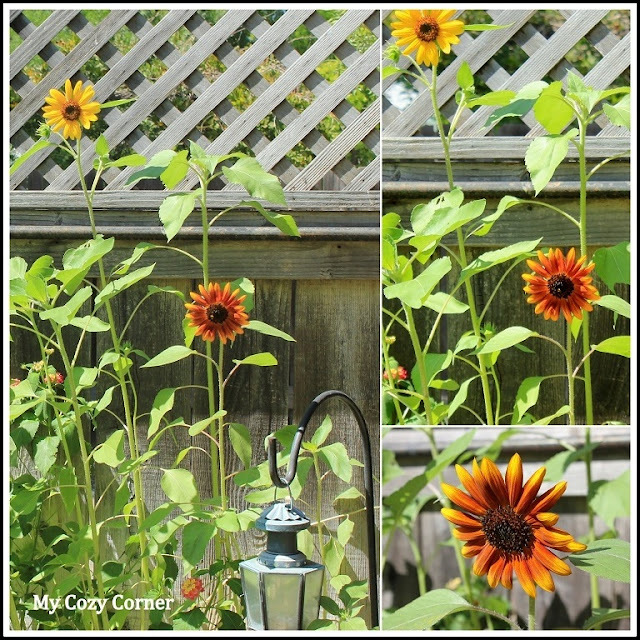 This year my sunflowers are a smaller size and two different varieties. Hopefully this group will last a few weeks. 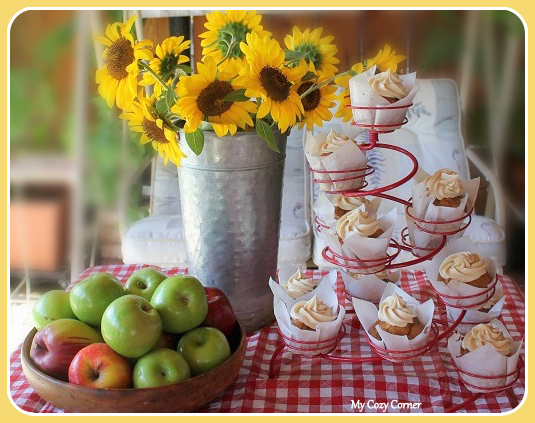 Wonderful centerpiece for late Summer picnic on the patio. 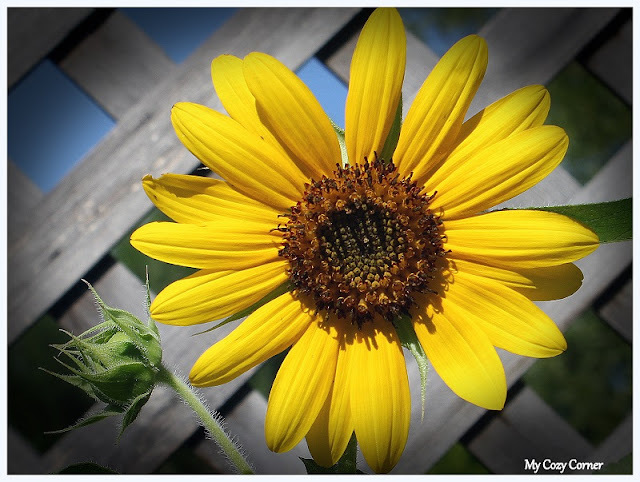 This sunflower is the variety I grew last year. I love this big brown center and the short golden petals. The sunflower reaching for the sun. I enjoyed playing with my photos today and already thinking about what kind of sunflowers to plant next year. Thank you for visiting and have a great week. Sweetheart and I are planning a little get away soon. Photos with the colors of a rainbow! Can you guess? I too adore sunflowers. They are truly a happy flower. Have a beautiful week. Your flowers are so pretty! I love the look of a field full of sunflowers. Oftentimes here on the Island, we will be driving along a road and sunflowers will be edging the farmer's fields. Just so bright and friendly looking! Thank you for sharing yours with us at my HOME and Happy September! How pretty! We plant sunflowers every year, but my husband likes the very tall variety. I would love some that I could cut and put in a vase. Your picture is so pretty, I just pinned it! :) Thanks for the smile! 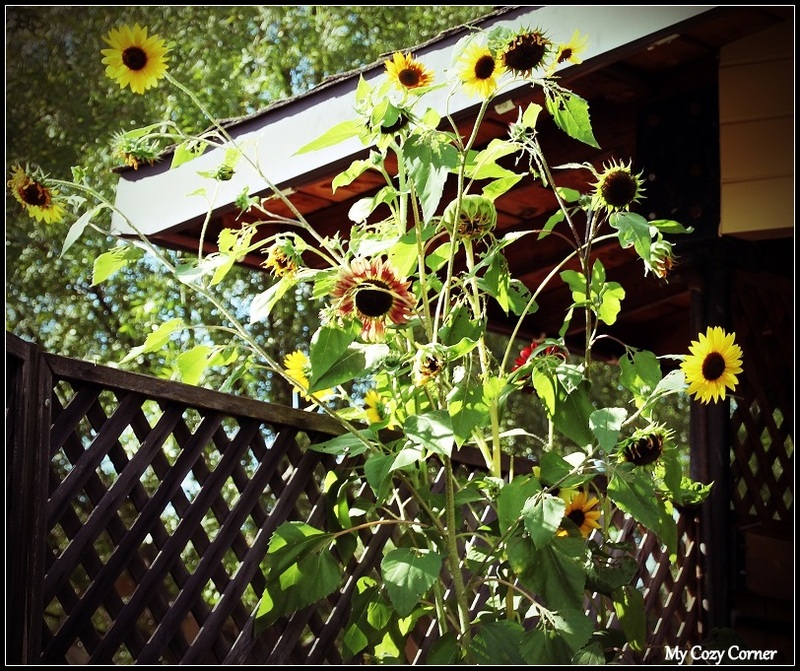 I missed out in growing sunflowers this year - yours are so beautiful and cheerful! They do make wonderful arrangements!